Copyright Notice – Darby Metalworks, Inc.
© Copyright 2019 Darby Metalworks, Inc. . All rights reserved. 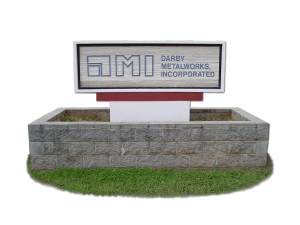 All photographs and text included herein are the property of Darby Metalworks, Inc.. All materials are protected under the United States and international copyright laws and treaties which provide substantial penalties for infringement. The use of any images or other materials included herein, in whole or part, for any purpose, including, but not limited to, reproduction, storage, manipulation, digital or otherwise, is expressly prohibited without the written permission of Darby Metalworks, Inc.. Please note: These images are not royalty free and a fee is required for each specific usage. This includes the use of any of these images for use in web pages, social media, advertising and publication. Legal action could then be taken against illegal usage by the photographer and the client. Please respect copyright laws. To inquire about the use of any of these images, please contact us via this website.